Welcome to the official site of the Monaco Government Tourist & Convention Bureau. Accessing this site implies automatic acceptance without reservation of these General Conditions of Use. The Monaco Government Tourist & Convention Bureau reserves the right to alter these General Conditions of Use at any time and invites users to check them quite regularly. These Conditions present all agreements between the Monaco Government Tourist & Convention Bureau and the user. Any changes or additional content integrated to this site are subject to these Conditions. Some pages or services are subject to additional specific conditions. Except for possible connection costs, access to content on this site is free of charge with no prior registration or subscription. The Monaco Government Tourist & Convention Bureau reserves the right at any time to change, temporarily or permanently interrupt all or part of this site, without having to inform users beforehand or engaging the Monaco Government Tourist & Convention Bureau’s liability. This site is the exclusive property of the Monaco Government Tourist & Convention Bureau. All content (text, commentary, titles, photographs, sound, images, data, drawings, animated audio sequences, videos, etc.) 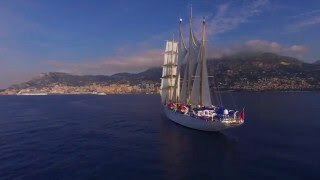 reproduced on the visitmonaco.com site, as well as design, form and software are the property of the Monaco Government Tourist & Convention Bureau, protected by current texts on copyright and, more generally, incorporeal rights. Only electronic copying for private use of all or part of the site or its constitutive elements making it up is authorised by the Monaco Government Tourist & Convention Bureau, on condition the original is not modified. The Monaco Government Tourist & Convention Bureau grants users of its site a right to its limited personal non-exclusive use. Reproduction, copying or exploitation for any other purpose that those mentioned above, in particular the modification, dissemination or use, commercial or otherwise, is a breach carrying criminal sanctions in the Monegasque Courts. Any brands and/or logos belonging to the Monegasque Government appearing on this site are trademarks protected by intellectual property legislation. Any reproduction, in whole or in part, without the owner’s permission is an offence punishable by the Monegasque Courts. The user agrees to comply with the General Conditions of Use for this site as well as current regulations. Such compliance entails in particular not committing illegal acts on this site or acts against human rights and, very generally, third parties’ interests. These General Conditions of Use forbid all acts that may contribute to tarnish the name or image of the Monaco Government Tourist & Convention Bureau or damage, discredit or bring down the site. Are prohibited, in particular: transmission by e-mail or any other means of any content serving for persecution, harassment, defamation, discrimination, insult or any other dissemination of personal information or opinion pertaining to one or more individuals or detrimental to human rights or underage users. All correspondence must remain courteous in all circumstances and respect elementary rules of politeness. Within the limit of what regulations permit, the Monaco Government Tourist & Convention Bureau provides the site “as is”. The Monaco Government Tourist & Convention Bureau gives no guarantee, implicit or explicit, concerning the site’s operation and/or content. The Monaco Government Tourist & Convention Bureau cannot be held liable for damage, direct or indirect, commercial or not, resulting from use of the site. The Monaco Government Tourist & Convention Bureau does not guarantee continuity, access or availability of the site and related services. The Monaco Government Tourist & Convention Bureau declines all liability relative to viruses that could be imported during download of any elements of the site(s) referred by the Monaco Government Tourist & Convention Bureau through hyperlinks. The site may provide web users with links to other sites or Internet sources. The Monaco Government Tourist & Convention Bureau has no control over such sites and cannot be held liable in any way for content, advertising, products, services or anything else that may be made available from such third-party sites. 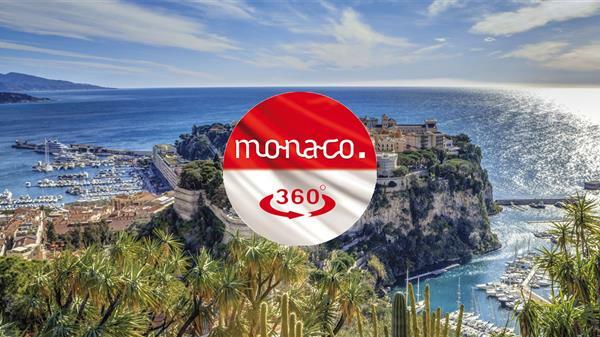 The Monaco Government Tourist & Convention Bureau can in no way be held liable for any damage or loss, proven or alleged, following or in relation to the use or the fact of having trusted the content of third-party sites or goods and services available on such third-party sites. The user is liable and suffers all risks pertaining to any use made of the content of the site, in particular when placing trust in the suitability, usefulness or completeness of this content. If a link were to lead the users to illegal content, in breach of current legislation, the users must then interrupt the consultation of this site or, otherwise, suffer the sanctions provided for in such legislation and be answerable for these actions against them initiated before the courts. In this case, the Monaco Government Tourist & Convention Bureau invites users to report the automatic link to an illegal site immediately to us and all competent authorities. The Monaco Government Tourist & Convention Bureau agrees to respect the confidentiality of all personal information web users may provide online. All information concerning web users is intended exclusively for the Monaco Government Tourist & Convention Bureau. Pursuant to Law no. 1353, web users have the right to access, rectify or delete their personal data. For any information or request, please send us an e-mail message at [email protected]. 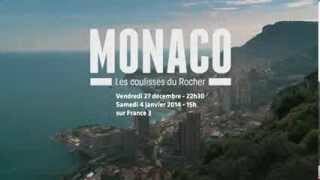 The Monaco Government Tourist & Convention Bureau uses “cookie” tracking technology. Cookies do not enable us to identify users. They do, however, save information on browsing with your computer on this site (pages consulted, date and time of consultation, etc. ), which can be read only during subsequent visits by the same user. This information is saved in the user’s computer for 5 years. All users may configure their browser to prevent “cookies” from being saved.